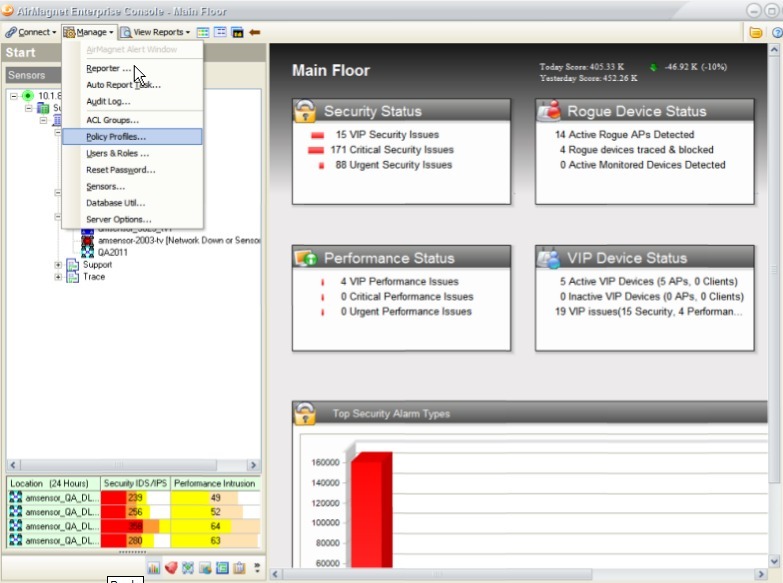 AirMagnet Enterprise from Netscout is a permanent monitoring solution for your wireless environment. Wireless networks never stand still and are never constant, their very nature makes them ever changing, using specialised sensors that are permanently deployed they continually monitor the airspace and allow you to troubleshoot and manage the manage your wireless network 24 hours a day, even from remote locations. The sensors communicate back to a centralized server where the data is collated, allowing you to view and control the system from anywhere. The unique technology used means each sensor works independently from the central server, meaning that your Wireless network is still monitored even if connection back to the central server is lost. AirMagnet Enterrpise proactively protects WiFi networks and users from all types of threats, ensures maximum network performance and uptime, whilst arming staff with the tools to solve problems quickly and remotely. AirMagnet Enterprise does this by going to the true source of WiFi threats and problems – the airspace itself. 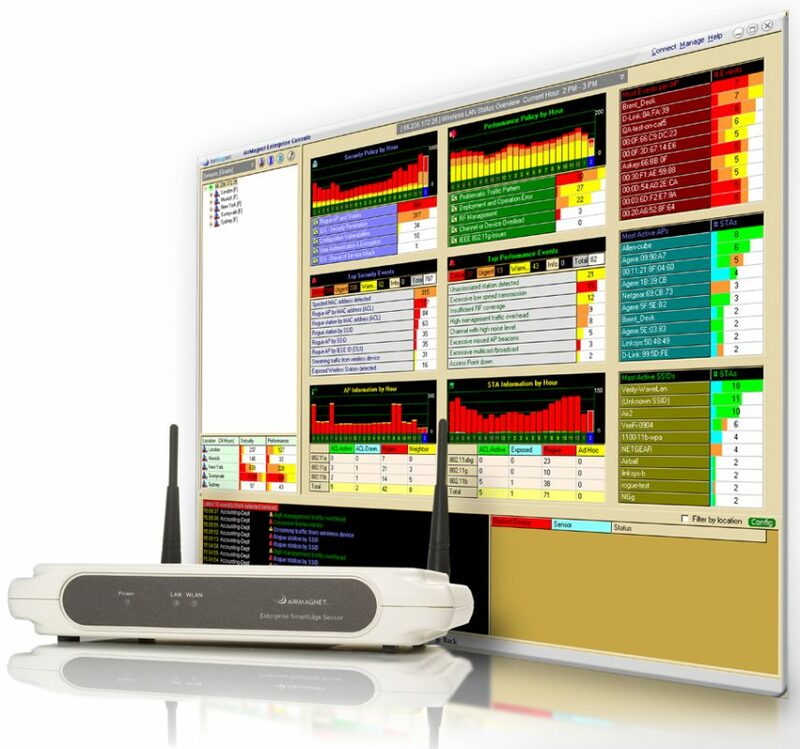 The solution provides full-time automated analysis of all WiFi traffic, channels, devices, their connection state, as well as optional spectrum analysis of non-WiFi devices and sources of interference. 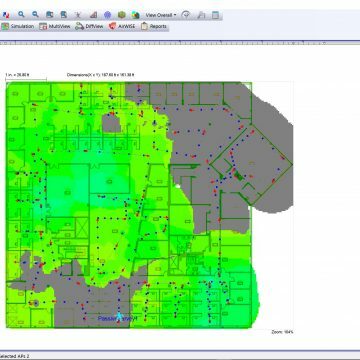 This full time view lets you get to the root-cause of any problem instead of just seeing the symptoms, while ensuring full visibility and control over the wireless boundary between your network assets and the outside world. Automatically blocking, tracing and mapping of threats, plus an unmatched suite of event alerting, escalation, remote troubleshooting, forensic analysis and professional PCI and compliance reporting. The end result is a unified system that keeps WiFi under your control – performing safely and meeting the needs of your users and applications. To arrange a discussion with one of our engineers, a quotation or arrange a product trial call us now on 01677 428700 or email info@fullcontrolnetworks.co.uk alternatively you can see it on NETSCOUT's website. 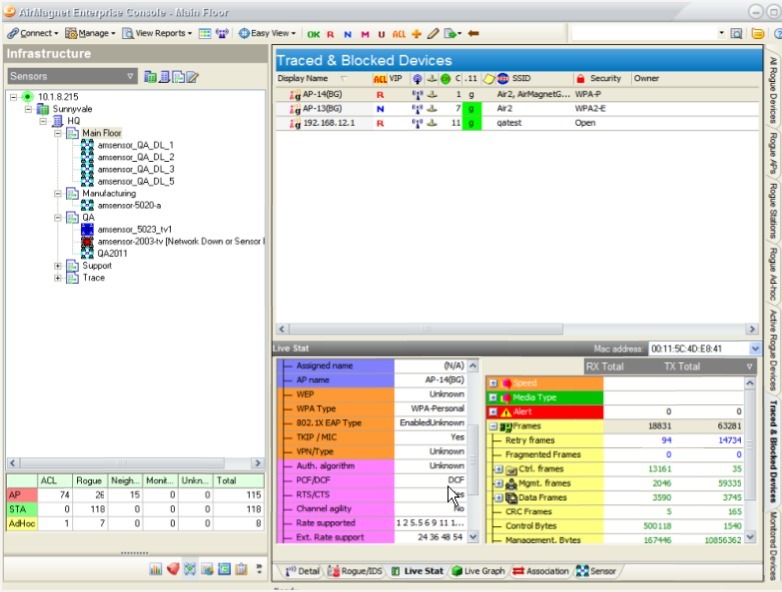 Unlike other solutions, AirMagnet Enterprise scans all possible 802.11 channels (including the 200 extended channels), ensuring that there are no blind spots where rogue devices can hide. 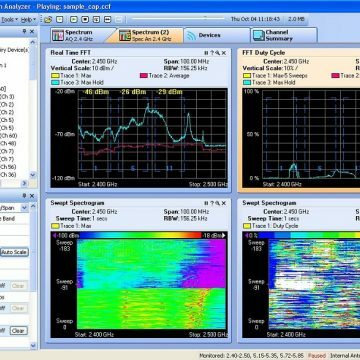 AirMagnet goes beyond WiFi analysis with optional hardware accelerated spectrum analysis to detect RF jamming attacks, Bluetooth devices and unapproved wireless cameras. AirMagnet provides a full arsenal of remediation and investigation options that can be triggered by policy to ensure that you don’t simply know about a problem, but are also protected. As WiFi adoption continues to expand it is increasingly important for network managers to easily cut through the flood of WiFi data and devices to find the point that matters to the network. AirMagnet tackles this challenge with the tools to easily classify new WiFi devices, score and prioritize issues in the network and share timely information with network staff and management systems. 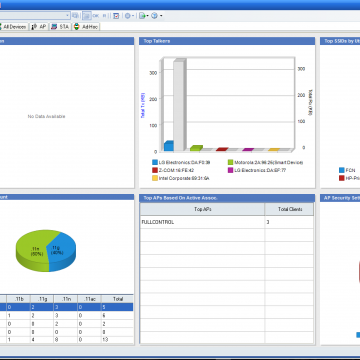 AirMagnet’s integrated reporting engine makes it easy to generate professional customized reports covering all areas of management including RF statistics, device reports, security and performance reports. AirMagnet provides detailed compliance reports covering a variety of regulatory standards including Sarbanes-Oxley, HIPAA & PCI. Reports provide a step-by-step pass/fail assessment of each section of the standard. As a result, IT staff can take the guess work out of compliance audits and complete their work in a fraction of the time. Below are some products you may be interested in. Please note you are free to unsubscribe at any time if you wish to do so.